Ashley Bales-- Denis Johnson spent his career writing “people who totaled their souls,” “Not bad people, not evil people, but actually storms of innocence. Deadheads telling their tears.” He explored “the violence inside a man.” He discussed death, ruminated on the psyche’s physical confinement within the body, within the strictures of society. He was fascinated with the paired concepts of freedom and constraint and his characters tested the limits of these boundaries. He dismissed moral systems that would dehumanize his characters because of this struggle. 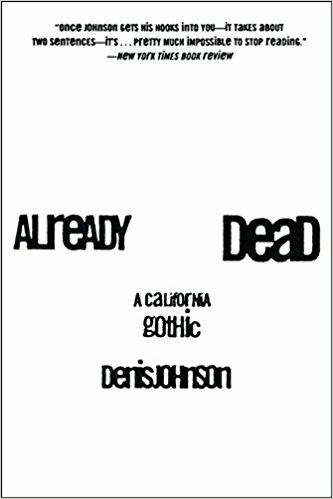 In Already Dead, Johnson strings these ideas together in a meandering plot that serves as a scaffold for his most comprehensive exploration of the human experience as a struggle between the soul, society, and the physical world. 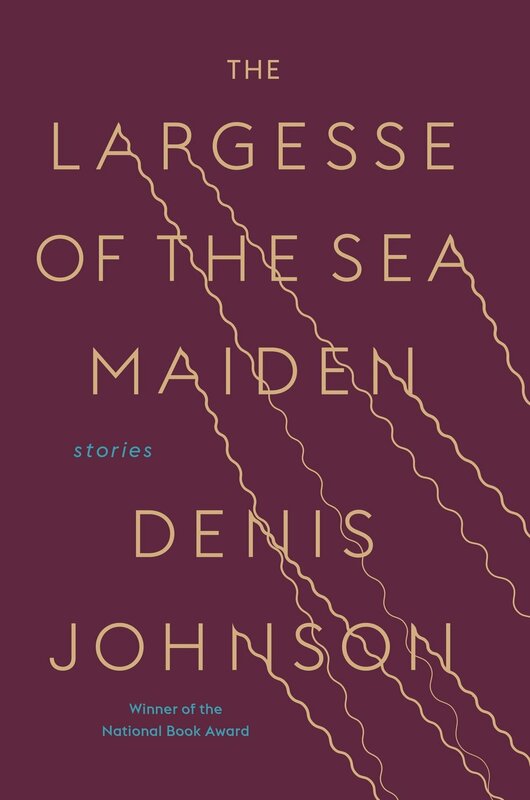 In these passages, Johnson portrays the psychic life of an individual as infinitely large and uncontainable, yet lets it rest, like nesting dolls, within the increasingly limited confines of a life, a home, a body. As Fairchild and Link are on the verge of death, they experience unclear boundaries between the perception of their vast psychic world and their limited physical world. Over and over again, Johnson develops narrative tension in exploring a character’s psychic freedoms within a confining reality. But Johnson’s fascination with this contrast is not limited to explorations of confinement; he is equally interested in the limits of psychic freedom, explicitly explored in the drug addled narratives of Jesus’ Son and the soul hopping discussions of Already Dead. Already Dead is a novel that is likely to polarize readers. There are long metaphysical and Nietzschean rants. Neslon Fairchild has more lives than your average cat and few characters are living by the end of the novel. The violence is extravagant and upsetting. The depiction of humanity is bleak. But for those who have ever felt alien within their bodies, felt their soul beating away at their insides, certainly anyone who wants to delve into Johnson’s deepest ruminations, it is essential reading. Johnson’s exploration of these themes throughout his body of work does not leave you with a unified theory. He did not write from a rigid platform but as one searching—a searching that imbued his work with vibrancy—pulling meaning where he could find it. For those less inclined to Already Dead’s aggressions, “Triumph Over the Grave” offers a softer exploration, turning its attention not towards an individual’s struggle to live, but towards death’s dissolution of relationships and the pain of lost companionship.